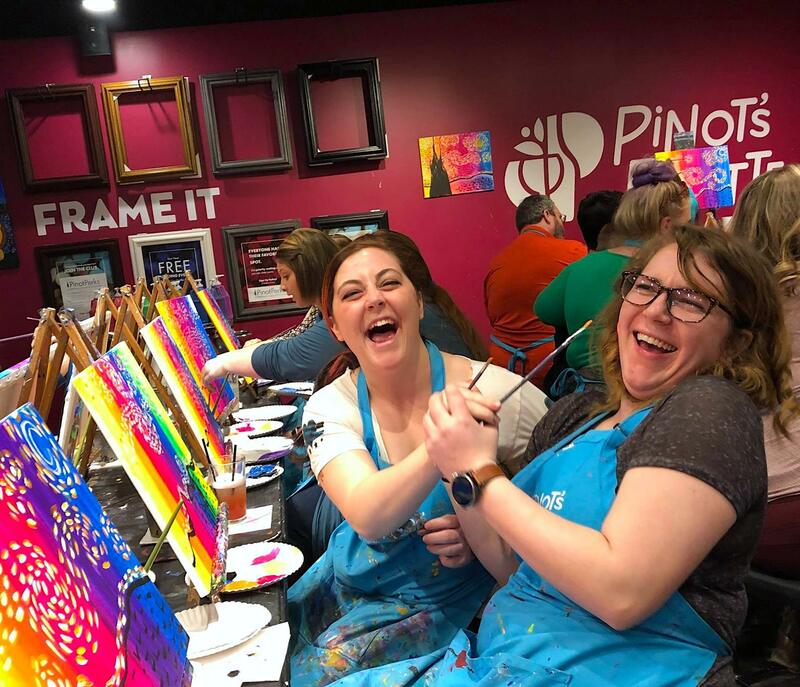 Karaoke & Lip Sync Battle + Painting = The Best Night Out Ever! Which one of your friends would you love to Karaoke with or Lip Sync Battle against? It's ON! Our last Karaoke & Paint SOLD OUT and was so much fun, we couldn't wait to do it again. Mark your calendars for Friday, April 19th from 6:30-9 pm! Grab a few friends for the best GNO or a date for an unforgettable Date Night! Doors will open at 6 pm. Our artists will check everyone in and take sign ups. You can karaoke, sing along, or lip sync! What song is your go to? Hint: you can visit our bar for a little liquid courage before class! The class will begin at 6:30 pm with some painting while we queue up the music. No worries, we've hand selected simple paintings that allow a lot of dry breaks for the karaoke! Our artists will help you catch up if you happen to miss anything while you're performing. We'll keep taking sign ups at the front throughout class too! Check out our class photos from March 23: Karaoke & Paint! It's our new favorite paint night! You don't want to miss it! Sign up online now before it sells out again!